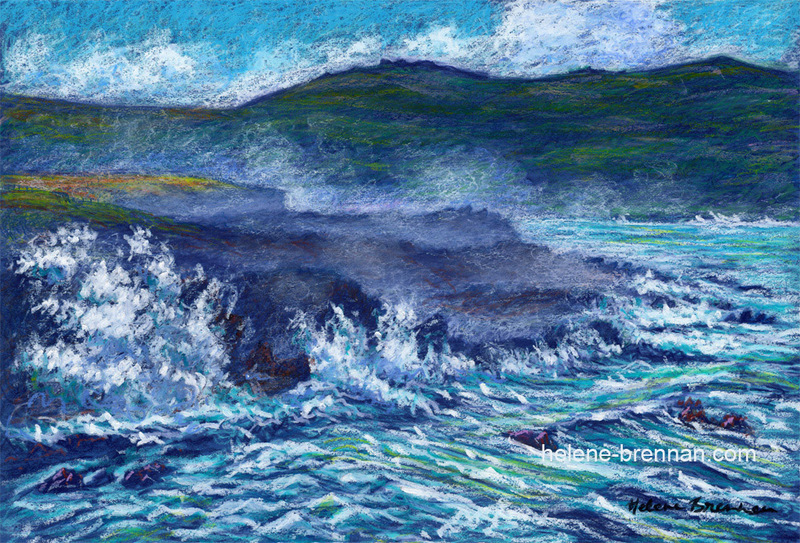 Near Clogher Beach, where the rough sea is always impressive, a steamy mist arises from the Atlantic turbulence. Framed. Can be sold unframed for easy posting 395 euro. Limited edition prints available, 95 euro. Please enquire.